On March 16 to 19 and March 23, students, parents, and alumni will come together to call alumni and parents across the country to ask them to support the Annual Fund. The goal for Phonathon is $400,000, and we need your help to reach or exceed it! Show your support as we celebrate Cooper Union’s 150th anniversary. Volunteer! Make a difference by calling out classmates and parents. Please register online here, call 212-353-4103, or email: annualfund@cooper.edu to register. We will provide free refreshments, prizes and t-shirts. If you haven’t done so already, make your gift here. Alumni Awardees – Abbott Miller A’85, Stan Allen AR’81, Dr. Peter S. Winokur PHY’68, John Huddy AR’85 & Rocco S. Cetera CE’99? 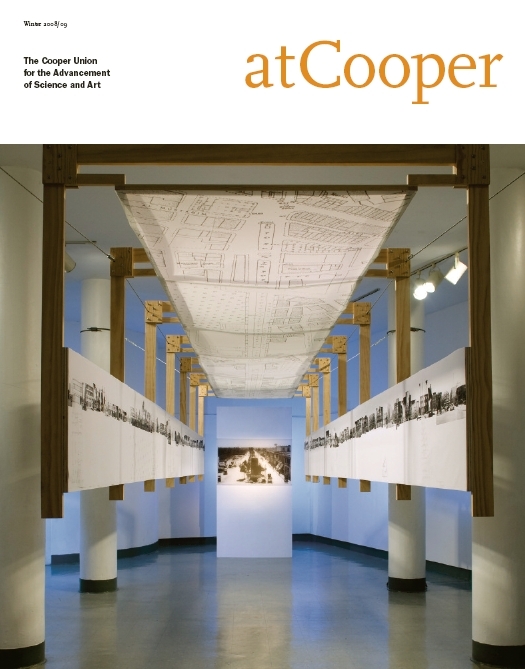 If you have not recieved your copy of atCooper in the mail, update your address by emailing us at alumni@cooper.edu. 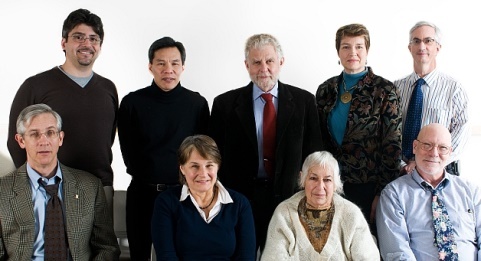 The Executive Committee oversees the affairs of the Cooper Union Alumni Association in accordance with policies established by the Alumni Council. Officers are elected annually via a ballot distributed to the full alumni body. 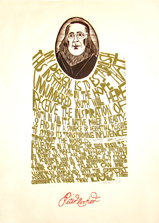 During our 150th anniversary year (February 12, 2009-February 25, 2010), donors to the Annual Fund who give $1,500 or more will receive a limited edition hand signed Peter Cooper woodblock print by Paul Peter Piech A’47. Paul Peter Piech was born in Brooklyn in 1920. He studied at The School of Art at The Cooper Union in New York and the Chelsea School of Art in London. After working in advertising, Piech returned to Chelsea to teach graphic design, also teaching at the London College of Printing and Middlesex Polytechnic. In 1959 Piech set up The Taurus Press at his home in Bushey Heath. This private press produced books which defied usual printing conventions of setting, spacing and layout, often reflecting Piech’s deeply held pacifist views, and were illustrated with his trademark linocuts and woodcuts. Piech died in 1996. Further information on the Taurus Press may be found in Kenneth Hardacre’s, ‘The private press of Paul Piech’, The Penrose annual 1976: the international review of the graphic arts (ed) Stanley Greenwood and Clive Goodacre (Northwood Publications, London, 1976). 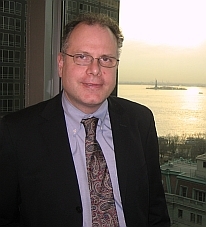 The Cooper Union Alumni Association and Susie and John Sobchak ChE’82 (Houston) cordially invite you to attend a reception with Cooper Union President Dr. George Campbell Jr. 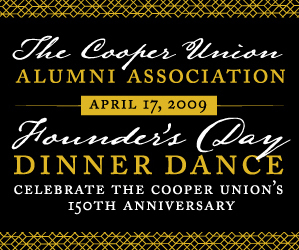 The Cooper Union Alumni Association and dinner chairs Judy Gerrard AR’83 and Robert Tan AR’81 invite you to join them for Founder’s Day Dinner Dance to honor alumni achievements, celebrate Peter Cooper’s 218th birthday and recognize the 25th reunion of the class of 1984. The Cooper Union’s 150th Anniversary Celebration was kicked off at the 2009 Annual Wreath Laying Ceremony in Peter Cooper Park on Thursday, February 12, 2009 at 12noon. Approximately 400 Alumni, Trustees, Faculty, Students, Staff and friends attended this milestone celebration. The new-identity for The Cooper Union was launched, the 218th birthday of our founder Peter Cooper was commemorated and The Cooper Union’s 150th Anniversary was celebrated. Featuring performances by The Cooper Union Step Team, led by Nicole Salazar BSE 09. The recital of the college’s song ?Maroon and Gold? was organized by Stephen Antonelli ME 10, Pro Musica, led by Barry Drogin EE 83/MEE 86 and accompanied by Lucas Scalcione-Hahn ME 10 (guitar) and Mike Pimentel CE 10 (trumpet) and Charlie Diamond CE 10 (saxophone). Cake and cider was served following the ceremony. 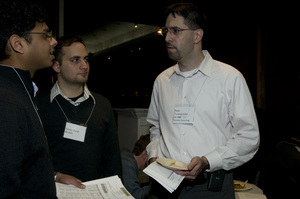 3/2/2009The Engineering Career Evening held on Thursday, January 29, 2009 in the Wollman Lounge attracted 58 Alumni and 68 students. Sponsored by the Albert Nerken School of Engineering, the Center for Career Development, and the Office of Alumni Relations. Melanie Chung CE’07 was guest speaker. 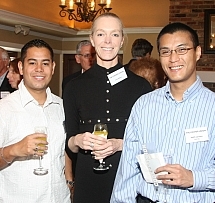 3/2/2009The Florida Chapter of the Cooper Union Alumni Association held its annual Founder’s Day Luncheon on February 8, 2009 at the Lauderdale Yacht Club to celebrate Peter Cooper’s 218th Birthday. Guest speaker was William H. Sandholm, Jr. CE’63, Chair of the Master Planning Committee of the Cooper Union Board of Trustees who spoke about how Cooper Union has positioned itself for the future. The 35 attendees included alumni, guests, parents of current students and staff. Harris Levee ME’43 and Keith Lorinos ME’05 represented the range in class years of alumni attending, and they blew out the candles on the cakes in honor of Peter Cooper. 3/24/2009The CU Formula SAE Team presentation on Monday, March 9, 2009 in Wollman Lounge was attended by 35 alumni, students faculty and staff.The presentation on the 2009 Formula SAE Design Competition entry was followed by lab tours and a reception. For more information on the Formula SAE project visit www.coopermotorsports.org. This event was sponsored by the Cooper Union Alumni Association and the Albert Nerken School of Engineering. The CUAA LinkedIn group now has over 600 Cooper Union alumni participating. Why did you choose The Cooper Union? I was interested in engineering for a while, but always thought of Cooper as a really long shot to get into.? I was pretty much psychologically set to go to another school, and was shocked when the acceptance letter from Cooper came.? Of course its reputation and full tuition scholarship were important factors, but as a kid in the suburbs, watching NYC emerge from its 1970’s near brush with bankruptcy and collapse, I wanted to be part of that excitement and support the city however I could. What is your favorite memory of being a student at Cooper? Hanging out in Wollman Lounge with my fellow students, learning from them. And for a child from a very homogeneous suburb, the diversity of the New York City/Cooper Union population was very exciting. As a member of the Council, how do you see your role? I particularly enjoy interacting with current students, who are smart and interesting, and yet normal and down to earth, just like I remember. 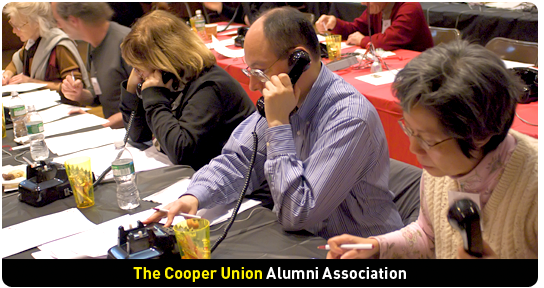 Also, giving back to Cooper Union by volunteering on the various planning committees and the Alumni Council and supporting the Annual Fund. How has your professional work changed over the years (from what you studied to what you are doing now)? I commuted to Cooper from New Jersey back in the early ’80’s, when the subways were completely falling apart.? That inspired me to try to be involved in improving public transportation in my career.? I now head the Operations Planning department at New York City Transit?not so far removed from thinking about that commute in 1982.? The closest I’ve come to directly using what I studied was when I managed the planning and Environmental Impact Statement process for the Second Avenue Subway, and got to work closely with a wonderful group of engineers, including Chi K. Chan CE’91, Fleur Hartmann CE’88, Michael Lee CHE’84, Emil Dul CHE’65.What is the best career advice you’ve received and who gave it to you? At Cooper, I signed up for the SHAPE program, which was an experimental series of science and humanities classes that emphasized, among other important things, public speaking and presentation skills.? These have been very important throughout my career?you can never get too much practice at that.? I’m an Avionics Engineer for Space Exploration Technologies, and our goal is to drastically reduce the cost of access to space.? 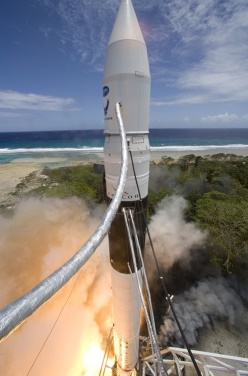 In this picture, you see our Falcon 1 rocket lifting off from our launch site on Omelek Island, in the Marshall Islands.? SpaceX made history on September 28, 2008 by successfully launching the first privately-built rocket into Earth’s orbit.? SpaceX was recently awarded a $1.6B contract from NASA for ISS (International Space Station) resupply missions after the retirement of the Space Shuttle in 2010.